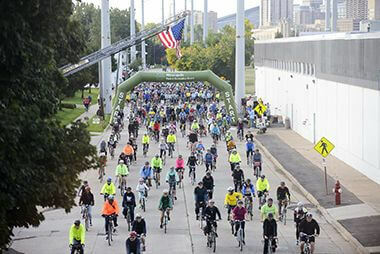 Everyone participating in the Bike Tour must register, pay the registration fee and complete the required event waiver. 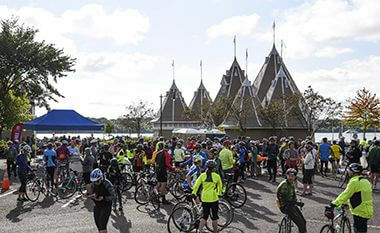 Registration is required for every rider over the age of five, regardless of the number of bikes used. There is no registration fee for participants ages five and under (based on child’s age on the day of the ride). 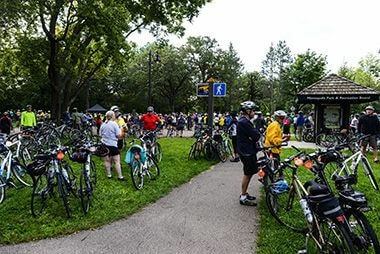 Bike Tour registration fees are non-refundable and non-transferable. 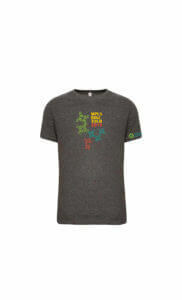 Partial proceeds benefit bike safety and education events for youth. Register in person at Utepils or Boom Island Park at the times listed below under Event Weekend Registration. Shirts will no longer be given away with registration. Participants will have the option to purchase either a Tech Shirt $15 (Short Sleeve; $20 Long Sleeve). Women’s cuts will be available. Make sure to click on the Merchandise tab when going through registration. Available for Purchase. Click on Merchandise Tab when registering. Each participant receives a bike tag that must be displayed on the front handlebars at all times during the Tour. Your bike tag also ensures you receive refreshments and mechanical support at water stops. The route closes at 2:30 pm and re-opens to traffic. 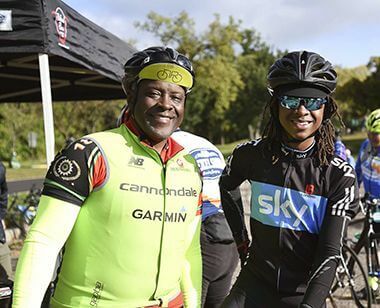 Anyone still on the route at 2:30 p.m. may move off the parkway and complete their ride on the paved trails, or they may choose to have a SAG vehicle transport them and their bikes back to the finish. The ride officially begins at after a brief opening ceremony at 8 am; all riders must be on course by 8:45 am. 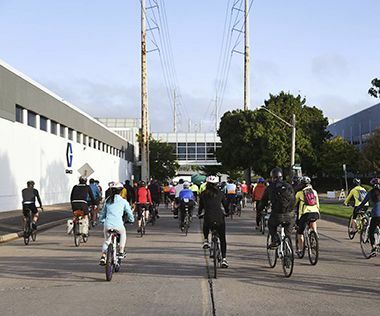 We strongly encourage advanced/experienced riders to begin their ride at 8 am. Casual riders and families are encouraged wait to begin their ride until after 8:15 am. 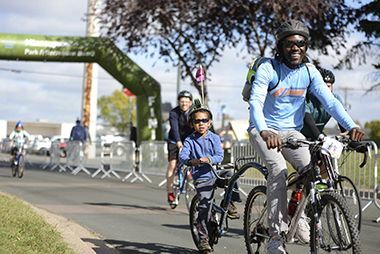 The Minneapolis Bike Tour is not a race, riders will not be timed and no awards will be given. Each participant is required to wear a helmet throughout the duration of the ride. Each participant must display the Bike Tour bike tag on their bike. For safety reasons, the use of headphones and cell phones on the route is prohibited. Please prepare for the weather. For the duration of the ride, slower riders should STAY TO THE RIGHT to avoid congestion for all. Please bring an ID (for safety purposes on the route) and cash with you for food and/or merchandise at the post-ride party. Please bring only what you need and can carry for the ride, as there will be no place to store your personal items during the ride. Please check your tire pressure, brakes, chain and wheels prior to arriving at the event. Mechanics will be available at each water stop. 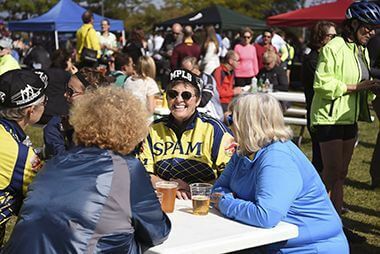 Stick around after the ride to enjoy LIVE music, one FREE beer, available to participants 21+ (must show valid ID), food trucks, exhibitor booths, and Bike Tour merchandise for sale! (Cash ONLY for merchandise and beer) The Post-Ride Party is open from 10 am-3 pm, with last call for beer at 2:30 pm. All ages are welcome into the beer garden including family members and spectators. Participants who would like a drink must show their ID and wear a wristband. 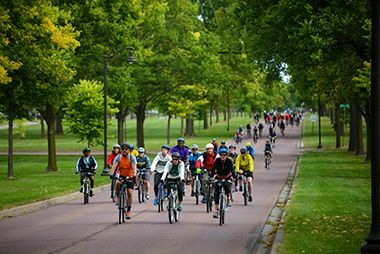 The best way to get involved with the Minneapolis Bike Tour is to spread the word and ride with your friends and family. 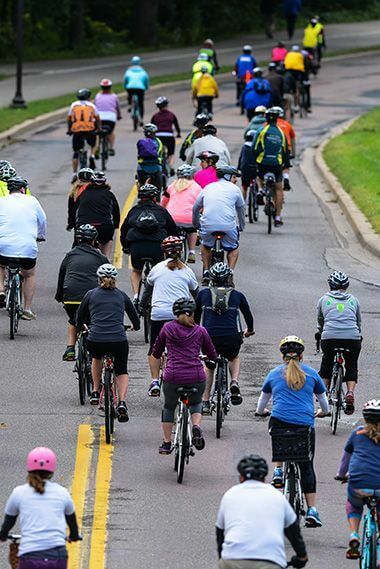 Follow @Mpls_Bike_Tour on Twitter or Like Minneapolis Bike Tour on Facebook to stay updated on all the latest news. 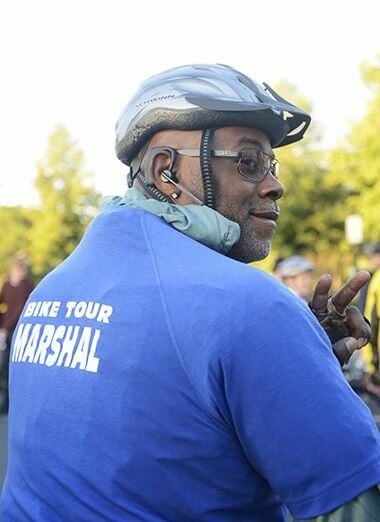 Thank you for your interest in volunteering at the Minneapolis Bike Tour. Please contact Aaron Briner at 612-230-6497 or abriner@minneapolisparks.org for more information. 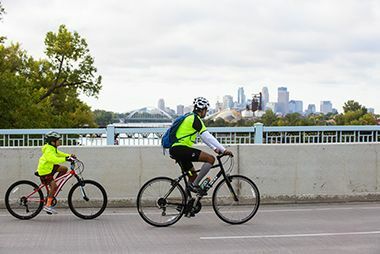 Become a Minneapolis Bike Tour Sponsor today! 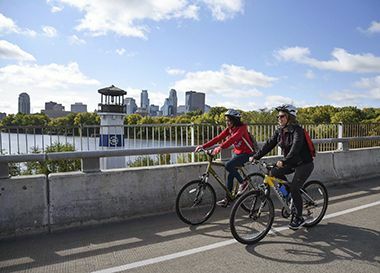 Get involved with the most beautiful urban Bike Tour in Minneapolis that takes riders through the award winning Minneapolis Park System. 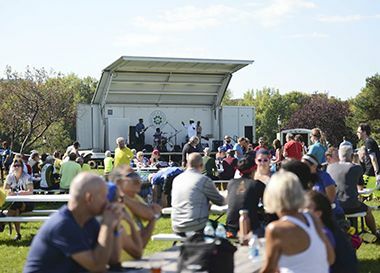 The Bike Tour offers opportunities for everyone to get involved and support this popular community event. Choose from cash and in-kind sponsorships at a variety of levels to match your marketing goals and budget. To learn more about sponsorship opportunities take a look at our 2019 sponsorship packet [PDF]. There is also free street parking in the surrounding neighborhood streets. Parking is not permitted on the Bike Tour route. Please find parking in the residential areas around the route and be courteous of private residences. 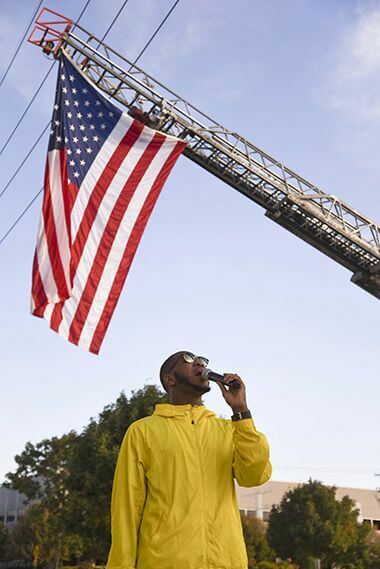 We encourage car-pooling, biking to the start, or using Metro Transit, as parking will be limited.